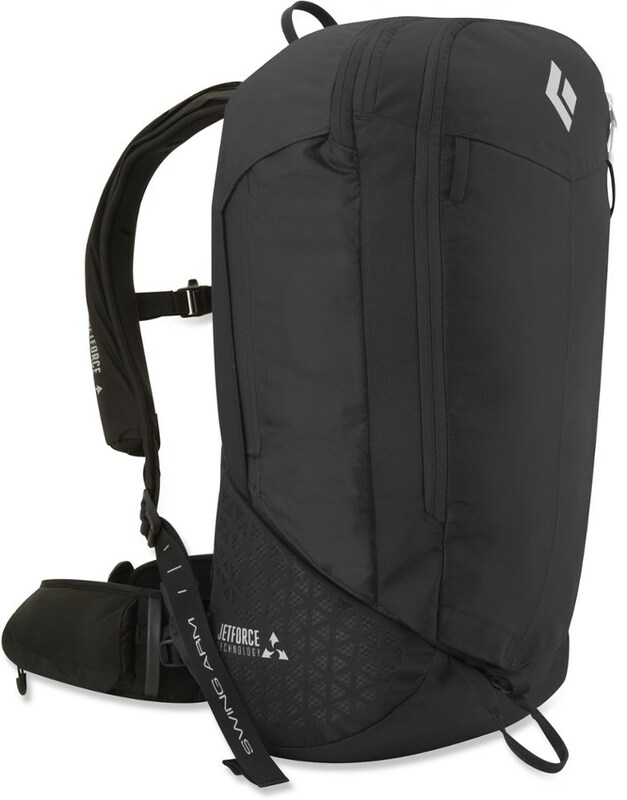 Prepare for the worst and hope for the best scenario each time you head into the backcountry with the Dakine ABS Signal 25L Backpack. 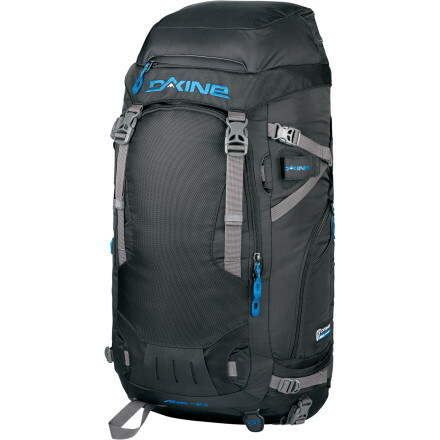 Dakine has partnered with ABS to integrate the ABS (air bag system) into its touring pack. 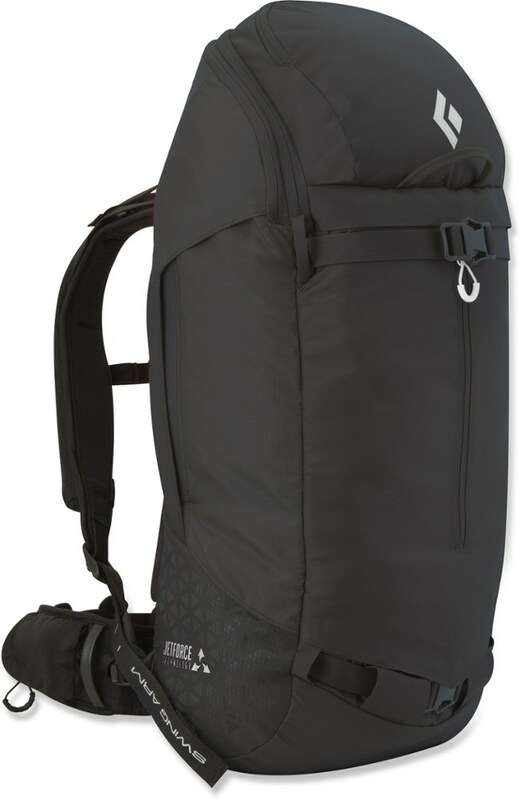 The ABS Twinbag system zips onto the stealth, slim design of Dakine's Pro II backpack. In case of an avalanche, you can pull the activation handle which inflates two airbags. The airbags create a wide contact surface at the sides of your body, help put you in a horizontal position, and help you rise to the surface of the slide. 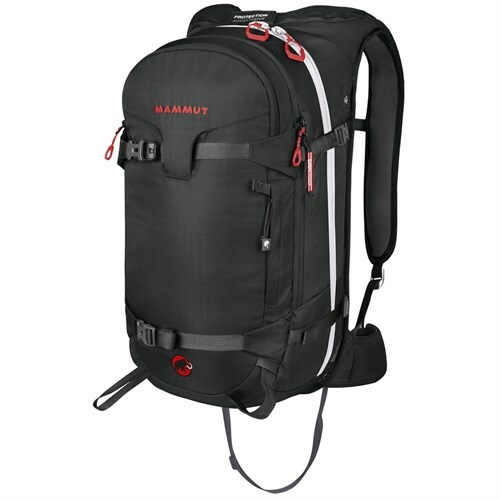 The Signal backpack features an Airstripe back system, padded and adjustable shoulder straps, an adjustable hip-belt, an adjustable sternum strap, and a leg strap. This carrying system keeps the Signal on your body without obstructing your view or movement and has been tested and meets the TUV requirement for extreme operational demands. Made with durable, strong 1260D and 640 nylon fabrics and construction, the Signal also features an avalanche gear compartment that organizes your shovel, probe, saw, and other avalanche safety items. 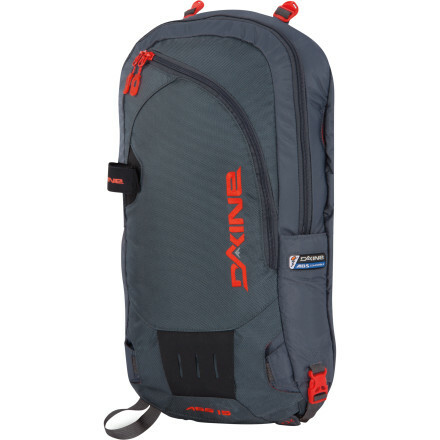 Dakine also gave the Signal a shovel-handle side pocket, front goggle or sunglasses pocket, a helmet pouch, and a waist-belt pocket for your small snacks or camera. Ice axe/hiking pole loops also come in handy while you tour up sketchy, icy terrain. A signal whistle on its sternum strap also helps you notify your touring partners in case of an emergency. Please read and follow all ABS instructions before use. CLOSEOUTS . 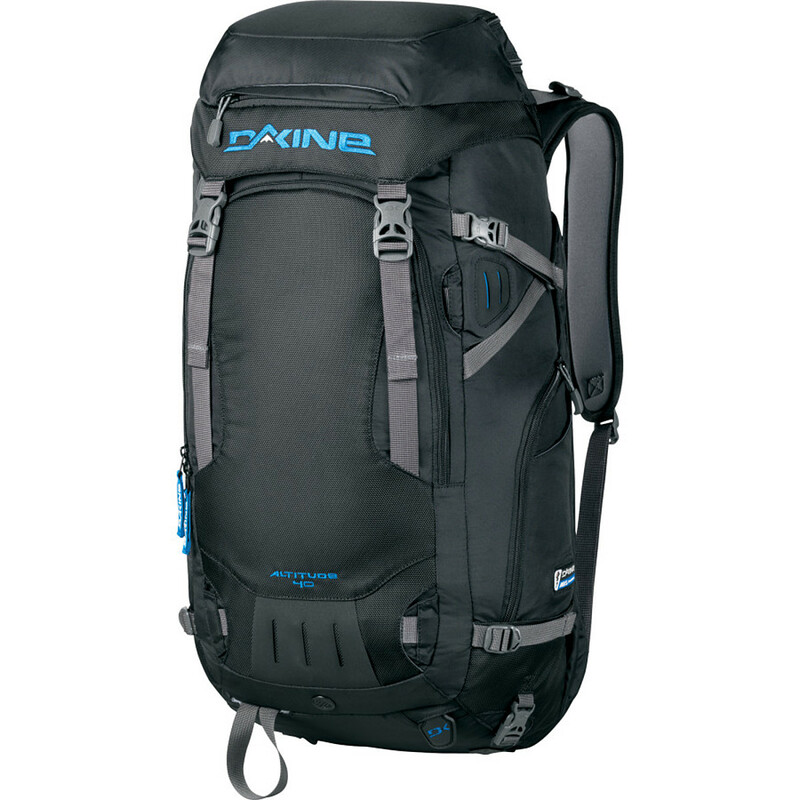 DaKine's Signal backpack features an integrated ABS avalanche airbag system. A quick tug of the handle instantly inflates two airbags to help push you to the surface in the event of a slide. Available Colors: BLACK. 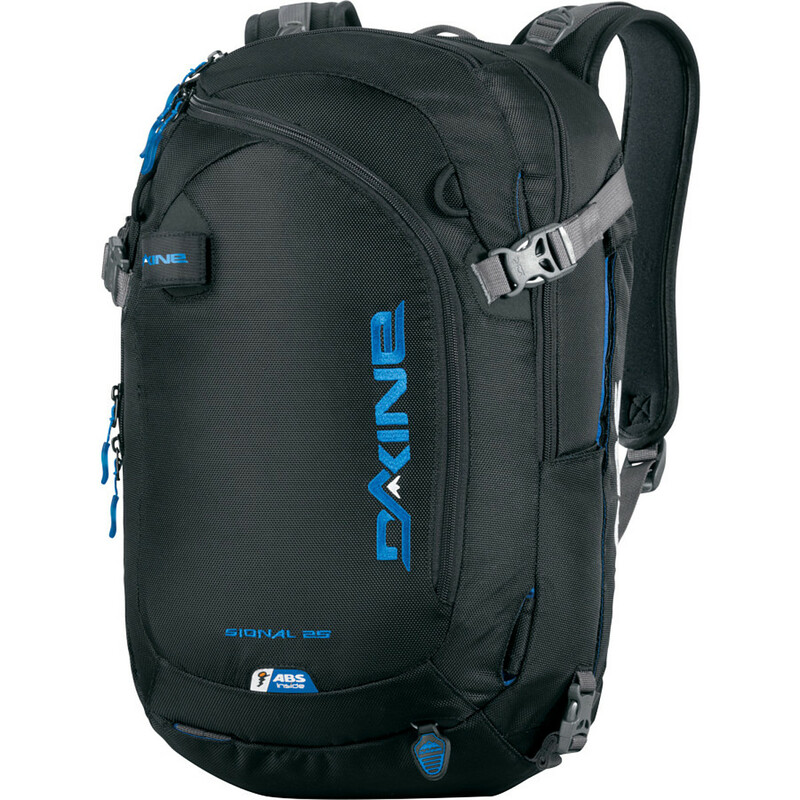 The DaKine ABS Signal 25L is not available from the stores we monitor. It was last seen January 9, 2018	at Backcountry.com.